TYI Day 6: Favorite Line of Poetry/Lyric « It's For My RP Spec! While I don’t RP Tanwen (since she lives on a PvE server), she’s sort of put together in my head. I imagine her to be a bit cold… taken in a strictly in-game context, she has been through a lot, including dispatching elemental lords (twice! 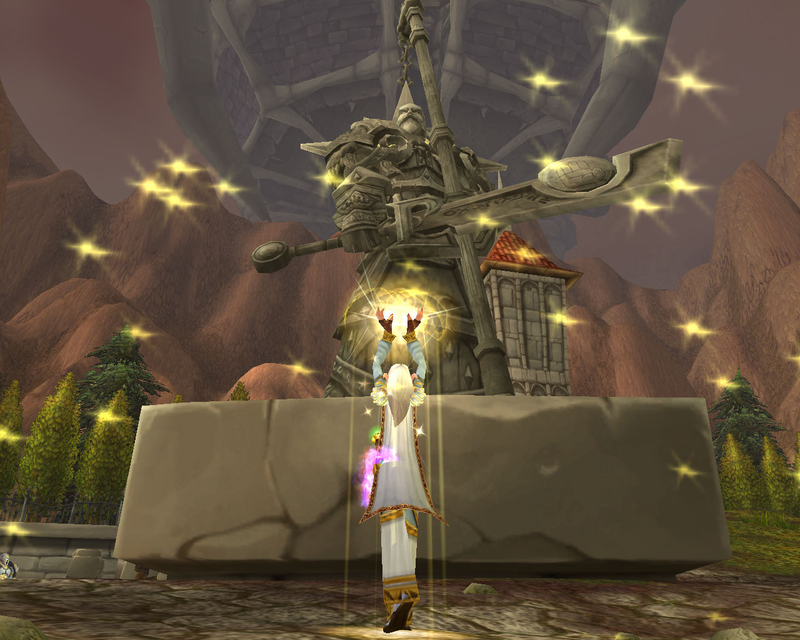 ), slaying dragons, bringing about the fall of the Lich King, and even killing her own former prince. With the purification of the Sunwell and the Sin’dorei’s subsequent waning need to feed on fel magic, she is able to devote herself to the Light completely. And while my raidmates are added into Tanwen’s story in my head, I imagine she is still somewhat distant and introspective when not supporting a group of adventurers out killing the next Big Bad.